Gene Luen Yang joins the roster of DC Comics' new imprints aimed at young readers. Battling racists? This is a job for Superman! 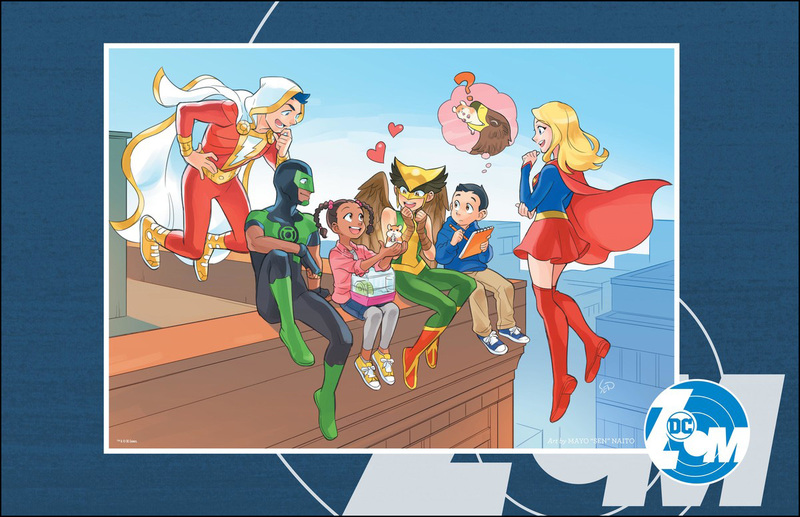 DC Comics recently announced two new youth-oriented original graphic novel imprints, DC Ink, which will focus on young adult readers, and DC Zoom, which will focus on middle grade readers. Both imprints will feature work by an acclaimed, all-star roster of talent, but one title in particular caught our attention: Superman Smashes the Klan by Gene Luen Yang. There's not a lot to go on yet, outside of DC's press release, but the title alone instantly conjures up imagery of the Man of Steel punching out white hooded assholes. And that's kind of fun. Story-wise, it might be the kind of thing that gives you pause -- racism is real; will these themes be handles with some sensitivity? Then you see that Gene Luen Yang is writing it, and it's allllll good. That's all I need to know. 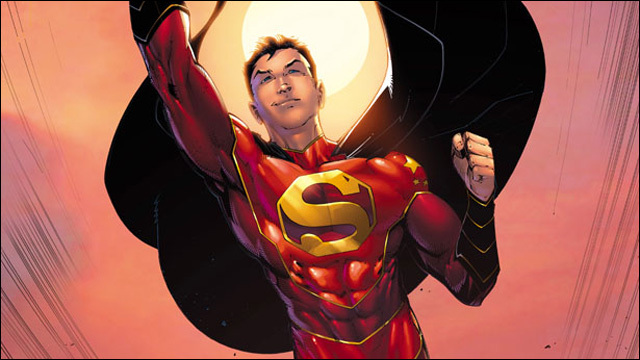 "If anyone can make a bold statement with Superman, it is Gene Yang," Michele Wells, the vice president for content strategy at DC, told The New York Times. Yang is the award-winning graphic novelist behind such books as American Born Chinese, Boxers & Saints and The Shadow Hero, as well as a writer on Superman and New Super-Man, which re-launches this month as New Super-Man and the Justice League of China. Fun fact: this is actually not the first Superman has clashed with the Klan. The Man of Steel previously faced off against the Ku Klux Klan on the 1940s radio program The Adventures of Superman. The show, sponsored by Kellogg, was actually denounced by Klan leaders, who called for a boycott of the company's products. It's all detailed in the 2012 book Superman Versus the Ku Klux Klan by Rick Bowers. 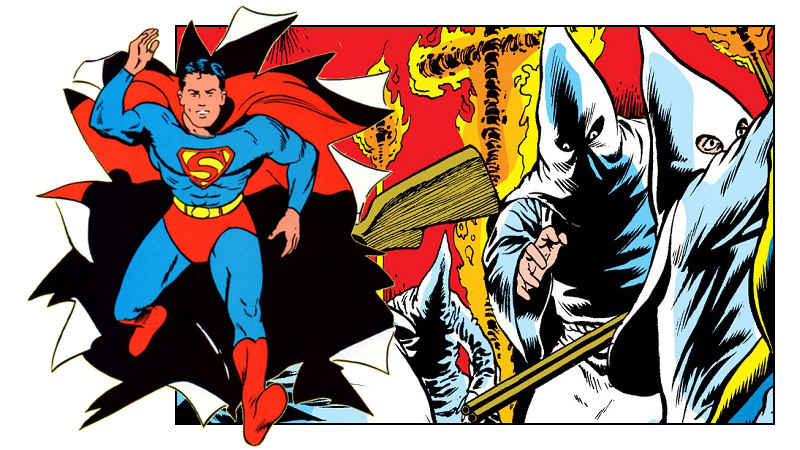 My research also reveals that previously Superman teamed up with Batman to fight a mob of supernaturally evil, Satan-worshipping KKK thugs in World's Finest Comics #286, published in December 1982. I'm going to venture a guess that Gene will not be going in this direction with his story. Superman Smashes the Klan, due out from DC in 2019, will be released as periodicals first, then collected. Looking forward to seeing some KKK fools getting punched out. For the kids, of course. By the way, the initial lineup for DC Ink and DC Zoom features a number of Asian American creators, including Harley Quinn: Breaking Glass by Mariko Tamaki with art by Steve Pugh; Batman: Gotham High by Melissa de la Cruz; Batman: Nightwalker by Marie Lu; and Green Lantern: Legacy by Minh Lê.